KINGSTON, ON – Mar. 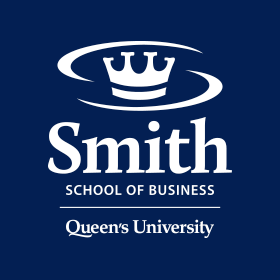 27, 2013 – QSB Insight, a new platform to share leading-edge research and ideas from Queen’s School of Business, launches today. KENNESAW, GA – Mar. 4, 2013 – Commerce students Natalie Fisher and Gary Tam made quite an impression on judges at the US National Collegiate Sales Competition (NCSC) at Kennesaw State University, outside Atlanta, GA.
KINGSTON, ON – Mar. 25, 2013 – Throughout much of the month of March, Commerce students exercised their entrepreneurial chops in support of a good cause. KINGSTON, ON – Mar. 20, 2013 – Student volunteers descended on local Kingston charities to volunteer their time, talents and creativity at the annual Commerce Has Heart event on March 20. KINGSTON, ON – Mar. 16, 2013 – A full weekend of speaker presentations and discussions on social innovation attracted 45 Queen’s Commerce, MBA, Arts & Science, and Policy Studies students to the inaugural Social Innovation Bootcamp at Goodes Hall on March 15 and 16.